Australia Vs Pakistan is always an exciting match to see. As these two teams are already into the quarter finals, one may think these teams won't play with full commitment. But that is not the case. Apart from these players being professional, also today a win is important for both the teams. The one who wins will top Group A and hence face the weakest team from Group B's top 4 in quarter finals. 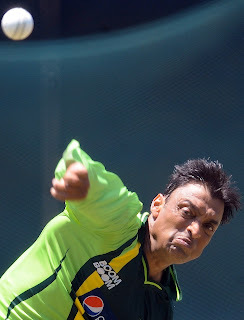 Shoaib Akhtar playing his last world cup and retiring after this would be craving to give his best. If we minus the injury woes from his career, he has been excellent with his cricket. Australia will be certainly wary of his pace. Will Pakistan end the unbeaten streak of Australia or will be it be Australia who enters quarter finals without a defeat. Watch it live!